How is summer almost over?! 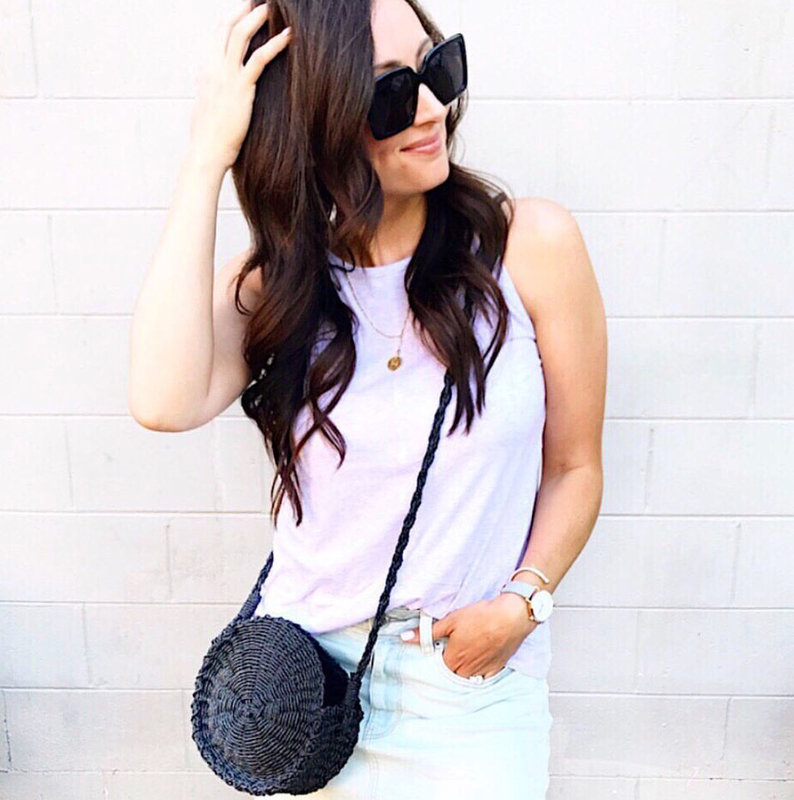 July’s top ten shopped items came up a litttlllleee skewed because of the Nordstrom Anniversary Sale, so for this post, I’m going to share the top 5 items from the #nsale and then the other top 5 items from other retailers. If you are new to my page, thanks for stopping by! 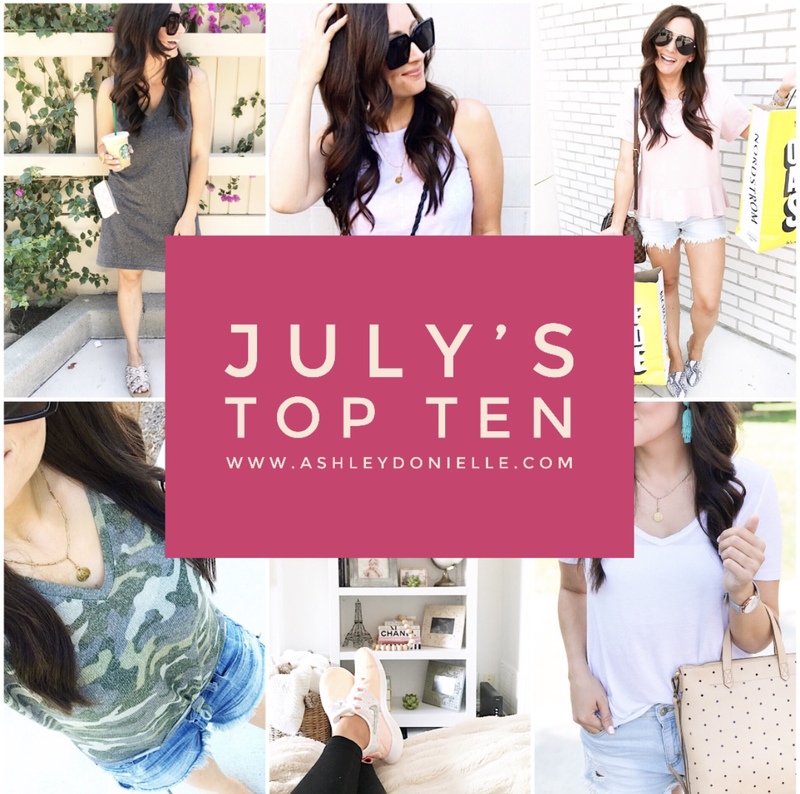 Ever since January, I’ve been dedicating a whole blog post to each month’s top ten shopped items from all of you! They have been huge hits and you all love them, so let’s keep it rolling! And don’t forget…..another month, another giveaway! I’m giving away one of my favorite pieces from the new Stella & Dot fall collection to THREE of you, so make sure you read all the way to the end of this post! I found these Zella leggings during Sunday sale finds one week last month and so many of you grabbed them! They are identical to the regular Zella leggings but are on sale for under $27. They are still in stock and on sale so if you need some great work out leggings, check these out! There’s nothing better to me than an super comfortable and flattering t-shirt. Double win when it’s camo. 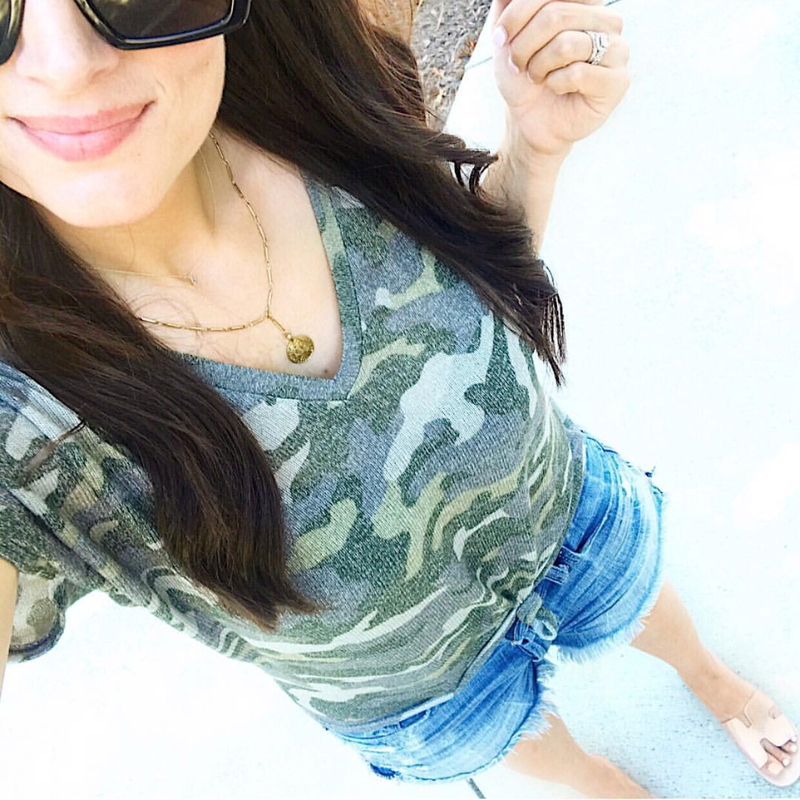 Over 100 of you purchased this camo tee in July and if you are like me, I’m sure you’ve worn it twice already. It’s still on sale, so “add to cart” immediately! This was such a random find, but such a good one! 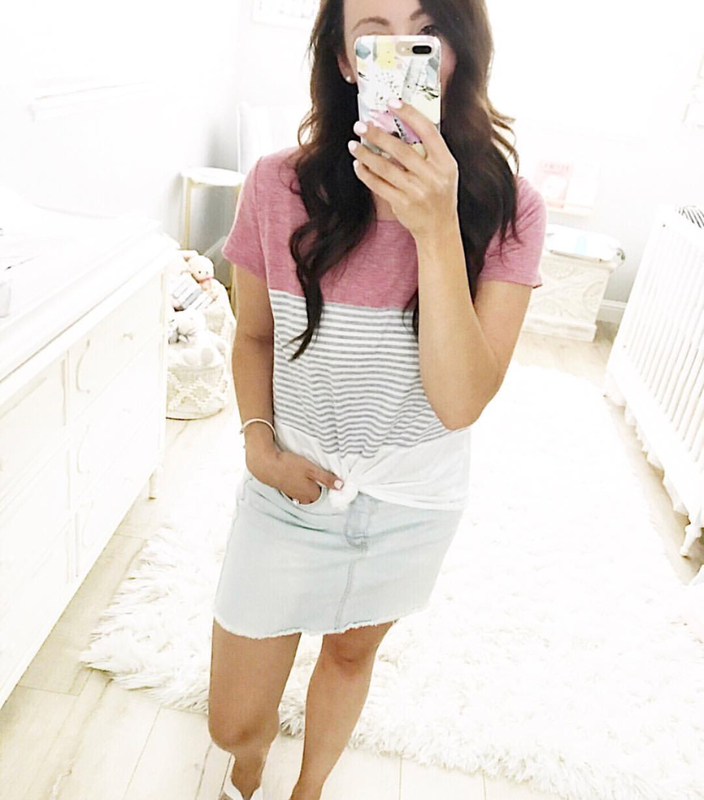 It’s a super comfortable and cute tee AND it’s under $16! 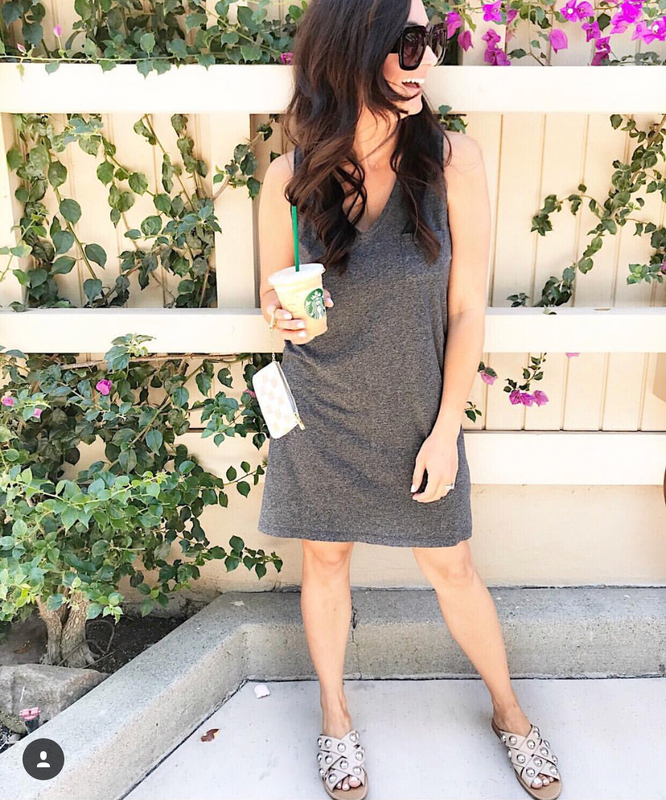 My favorite dress of the summer hands down and over 200 of you thought so too. It’s still on sale and in stock in limited sizes so if you missed this one, jump on it! When you find the perfect tank, buy it in every color. These tanks fit just right and are perfect for layering and achieving that amazing front tuck. They are currently 40% off so grab a couple of colors while you can. One of my favorite picks from the Nordstrom sale! Super comfortable and I love the coral color with the white. 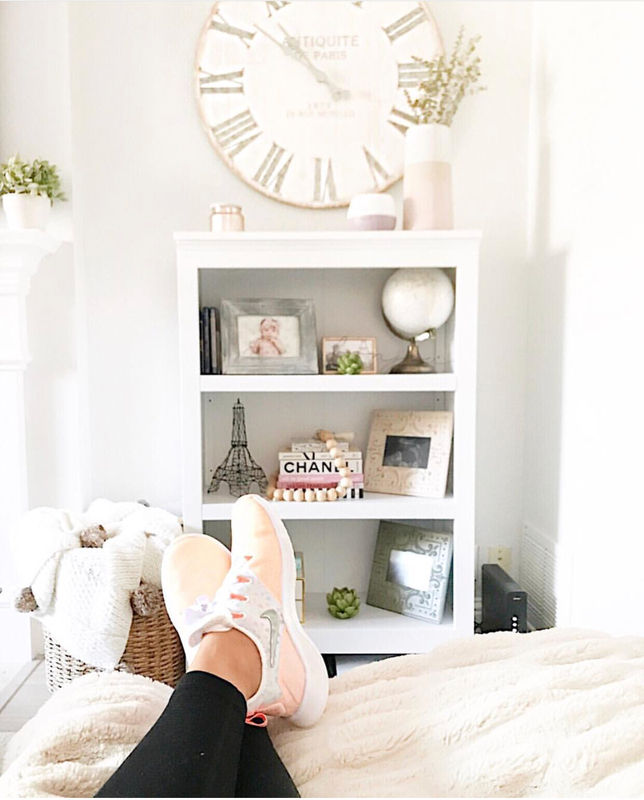 Hello chic sneakers! They are still in stock and still only $100, so if you are looking for a new pair of workout/running shoes, these are a great option. Another great find from the Nordstrom sale, this cardigan is a WINNER. It’s perfect for everyday wear and fall layering. It was just restocked in almost all colors and sizes, so grab your favorite color for fall. One of the best deals of the month! Over 400 of you thought so too and bought this amazing peplum top! Under $10?! Is that a joke?! No. No it’s not. SO GOOD. I love that you all love basics just as much as I do! 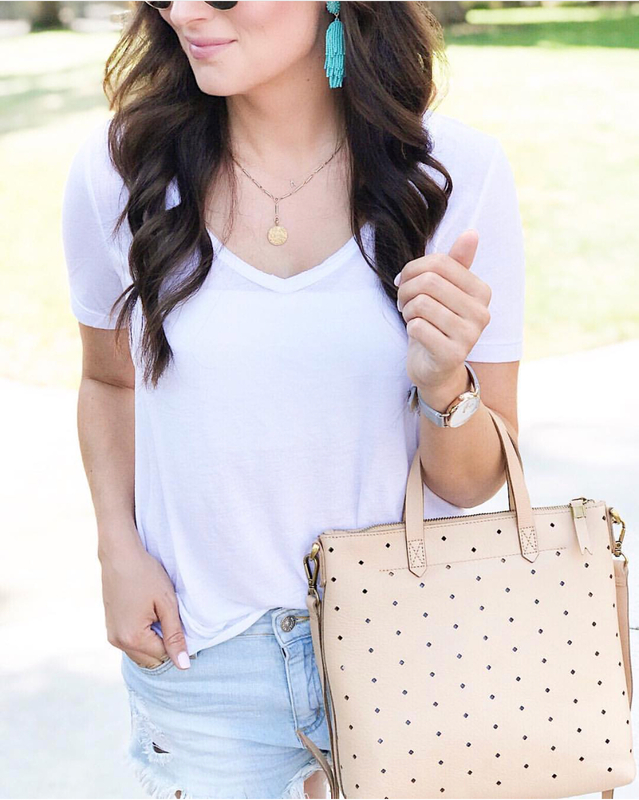 This tee was a huge hit during the Nordstrom sale as it was a great basic for fall layering. Although it’s not on sale anymore, it’s still only $17 and it’s been restocked in all colors. Man oh man, these mules sold out quick during the sale! They are back in stock in most sizes though and worth every penny! Super cute, comfortable and are the perfect fall shoe. Even though the Nordstrom sale is over, most of the items that sold out quick have been restocked and are still available for decent prices. If you really wanted something, full price might still be a great deal! This month’s giveaway is a good one! 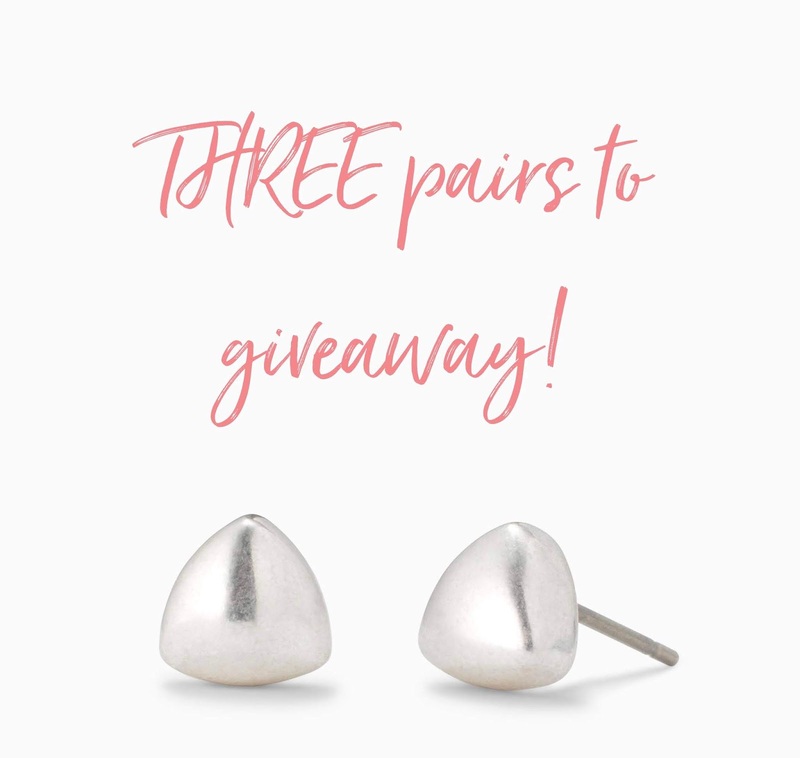 To celebrate the new Stella & Dot fall collection and to say thank you for all of your continued support, this month’s giveaway is THREE pairs of the new Zariah Studs. These are my new favorite studs as they go with any outfit and complete any accessory look. To enter, check out the Rafflecopter below and follow the steps! Winner will be announced on Saturday morning at 9am. Thanks for stopping by and reading! Good luck! Thank you for all your hard work trying on and reviewing all the Nsale pieces. It was so helpful in finding the must have fall pieces for 2018-2019 season. It was also fun to see your sister review with you too! Love that color block tee! I think it might be my fave. Loving the Amazon finds you've been posting too!! 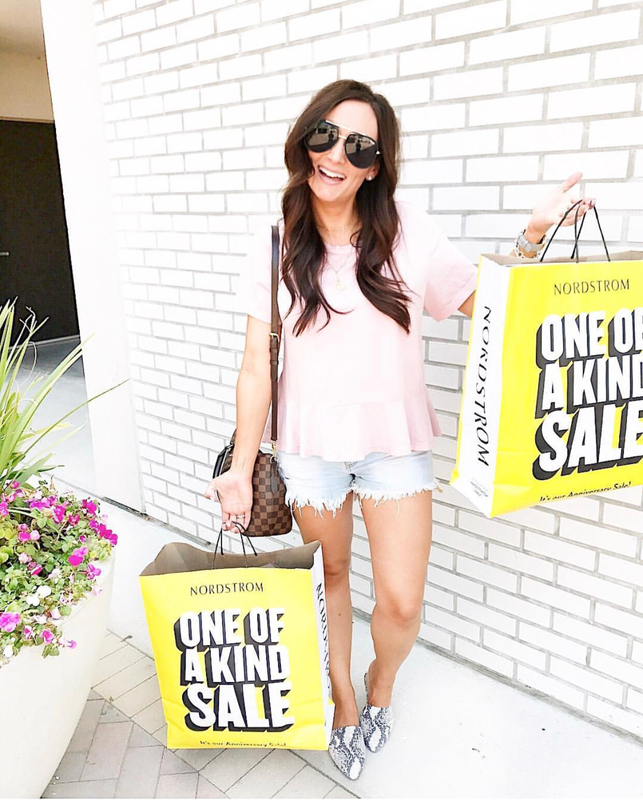 You had the BEST coverage of the Nordstrom sale! I bought the cocoon cardigan and am totally in love with it! Thank you so much for showing us such goodies!! I love my Zella leggings! !